Provide comfort for the family of Kenneth Murray with a meaningful gesture of sympathy. After a long full life, lived with purpose and generosity, Ken Murray died peacefully in Guelph at Hospice Wellington in his 95th year on Saturday March 2, 2019. He is survived by his wife Marilyn, his daughters Susan Pearce (Richard) and Leslie Harwood (Fred), his grandchildren Andrew Harwood (Kristin) and Lauren Harwood, and his great grandson James Murray Harwood. He is lovingly remembered by Marilyn’s children and the extended Robinson family. Ken was predeceased by his first wife Helen Volker (1995), his brother Donald (Margaret), sister Jean Shetler (Elmer) and parents George Murray and Vera Irwin. A son of the manse, Ken was born in 1924 in Chatham Ontario and grew up in small town Ontario – Buxton, Newbury, Zephyr and Keene. After serving two years in the Canadian Navy during the Second World War he enrolled in the Ontario Agricultural College in 1946, married Helen Volker from Kitchener in 1948 and graduated in 1950 with a BSc (Agriculture). His first job was as a salesman for J.M Schneider Inc. in Kitchener, and he retired in 1987 as President. Following retirement, Ken played a leadership role for more than 20 years at the Homewood Health Centre, serving as President and Chair, creating the Homewood Foundation and sitting on the Homewood Research Institute Board. Raising beef cattle was a favorite pastime for Ken, both on his home farm in North Dumfries Township and later in Bruce County. Ken lived his life following the example of his minister father. He loved and was proud of his family. He was committed to the communities where he lived. He believed in giving back. He revelled in meeting new people. 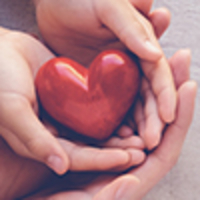 He found joy in supporting local causes and participating in their activities and special events. He was an active church member in the communities where he lived: Trinity United, Kitchener; Knox United, Ayr; Ellis Pioneer Chapel, Puslinch Twp and Harcourt Memorial United, Guelph. Many organizations in Kitchener-Waterloo, Guelph and beyond benefitted from his leadership and support. The Universities of Guelph, Waterloo and Laurier have all benefitted from Ken’s generous spirit, particularly his support for student scholarships and awards and he has received numerous honors and awards in recognition of those contributions. 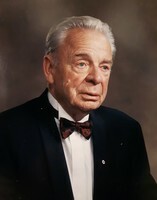 He received honorary degrees from the University of Waterloo (1995) and the University of Guelph (1996). And one of his proudest moments was in 2001 when he became a member of the Order of Canada. In 1996, Ken married Marilyn Robinson, who has been his soulmate and loving partner for more than 22 years. Together they continued their love of volunteering, travelling and connecting with family and friends. A celebration of Ken’s life will take place at Harcourt Memorial United Church, 87 Dean Ave., Guelph on Saturday, March 30, 2019 at 1 pm followed by a reception at University of Guelph Arboretum, College Ave. E., Guelph. Burial will take place at a later date at the Ayr Cemetery, Ayr Ontario. Provide comfort for the family of Kenneth George Murray by sending flowers. Our condolences in the loss of a great contributor to the community. Marilyn, condolences to you and family. Ken was a giant among men. Glad I got to work with Ken - hard guy to keep up with, but I learned a lot while I was running. His dedication to community will be remembered by all of us.